Jonas & Corey have been invited by the student band “Evolutionary” at Confederation Secondary School in Val Caron, ON (just outside Sudbury), to attend their 32nd annual “Mother’s Day” concert on Saturday, May 12, 2012 at 7:00 Pm in the gym at Confederation Secondary School. The band tours from March until June, performing in front of more than 8,000 students per year. Their shows include a high energy, choreographed presentation with an exciting light display including lasers, strobes, smoke machines and intelligent lighting. 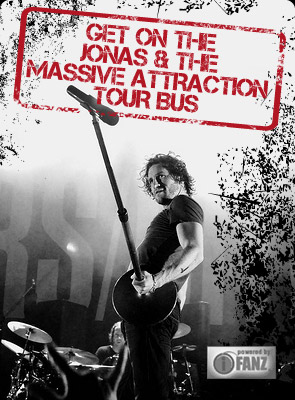 For the “Mothers Day” performance, the band will play an all-Canadian set-list including Jonas & The Massive Attraction hit single “Big Slice”, alongside songs by Danko Jones, Simple Plan, Our Lady Peace, Theory of a Deadman, Colin James, Bryan Adams, Rush, Hedley, Three Days Grace and Burton Cummings. Jonas & Corey look forward to hanging out with the kids and checking out their rock chops. They’ll also perform a couple of songs acoustically as part of the Mother’s Day event. Tickets to this special performance can be purchase at the main office at Confederation Secondary School, Jett Landry Music in Sudbury and Hanmer Home Hardware in the Hanmer Shopping Mall. Tickets will also be available at the door. Don’t miss this GREAT SHOW and the chance to support kids learning music in our schools!! For more details on the performance check out www.rainbowschools.ca. NEW SHOWS ANNOUNCED TO KICK OFF 2018! MONTREAL SHOW FAN APPRECIATION PRE-SALE TOMORROW AT 10 AM!